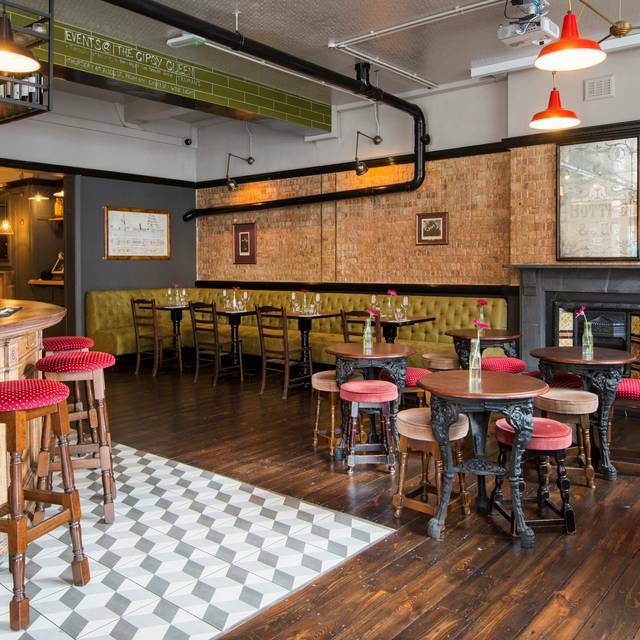 The Gipsy Queen is an Independent family owned pub in the heart of Kentish Town. We have everything you could possibly want on tap, with a wide selection of craft beers and Wines. With a partnership with the world famous Chicago Rib Shack, enjoy stacked loaded fries and juicy, messy (bring a bib) ribs! Alongside other classic American food items. The Gipsy Queen did the best ever Xmas lunch I have had - it was, all round, tasty and fresh and in a lovely atmosphere - highly recommended! The menu is limited to ribs and burgers and a few US style extras, but what they do is excellent. The ribs are tasty, tender and fall off the bone. Recommended! 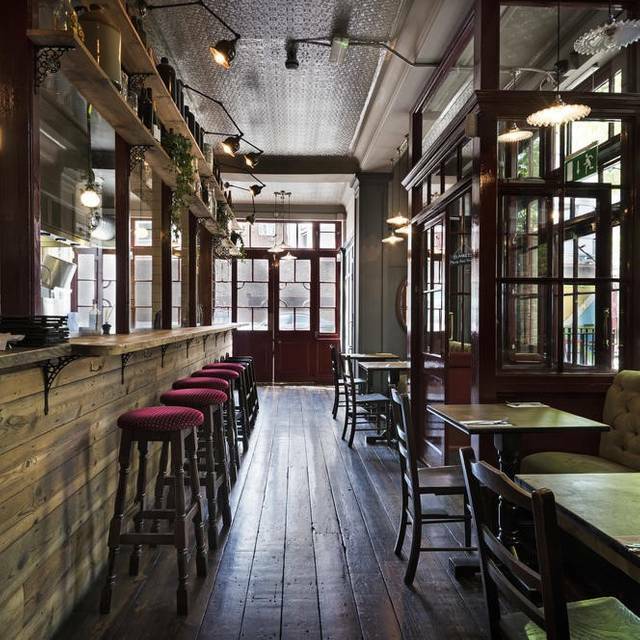 Warm, cozy and friendly - a great neighbourhood London pub experience. Good selection of beers. We’ll be back. went to gypsy queen with the family (3 of us) with high expectations of a tasty Sunday brunch/roast at a local hip pub. very friendly staff who were attentive. sadly, the food was hit and miss. I has their *famous* slow cook pork ribs (full rack) which was tender but unfortunately bland and under seasoned. the sweet potato chips were amazing. the missus had the beef roast - everything on the plate was tasty other than the main attraction, the beef, which was overcooked and a bit tough. our son had the kids portion roast beef. same outcome. we wouldn't go back for the food but perhaps for a pint or two. We dined on Thursday when it is Burger, Beer and Chips for £12. 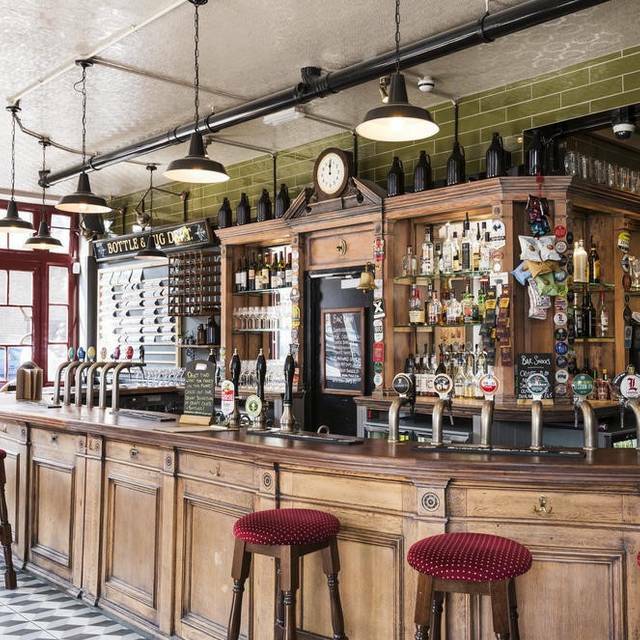 It's a nice cosy (while being fairly big and spacious) pub. Very friendly services,extensive beer selection served by people who know (and care) about what they are serving. There is just the one veggie burger on offer (we both are vegetarian) but it was very delicious indeed, one of the nicest I have had. My only slight complaint, it could have been a little bit bigger. Combine that with the fact it was served with skinny fries (which some people love to be fair, for me I prefer thicker cut chips) and I was left a little hungry still by the end. But not to worry as I filled the gap with more delicious beer. Very dog friendly too. 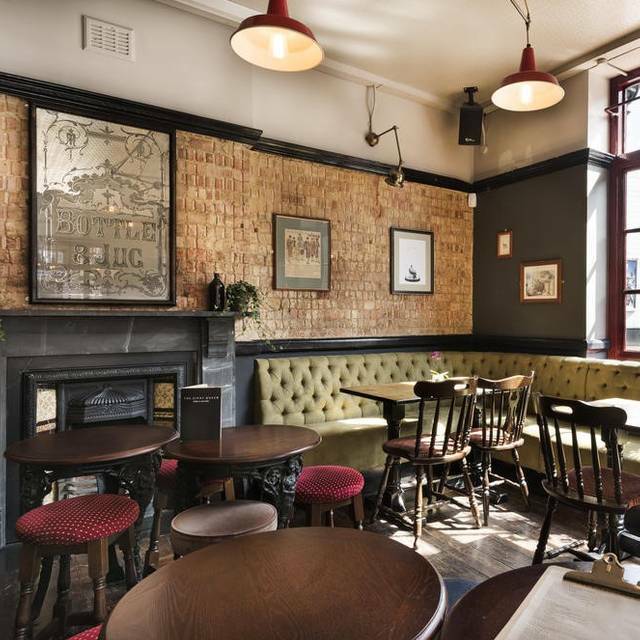 Such a great place to go, great food, great atmosphere...Try out Sunday quiz! Unfortunately, the electricity kept going in and out, perfecting the lights to stay on. We came there for food and wasn’t able to have food served due to the electricity. (Something about someone tampering with the lights and the police where involved) anyway it was nice of the manager to give us the drinks on the house, but I came for food, and unfortunately I wasn’t able to get anything local until I Ubered it else where. I chose The Gipsy Queen for a get-together with friends as we didn't want a pub in a busy location. We loved the place; there was a nice buzz but at the same time the tables were not packed together, and it was not so full that we had to vacate the table the moment we finished our meal- in fact, we spent most of the afternoon catching up. Music at the right level, great choice of beers, nice food in generous portions, friendly staff. Highly recommended! Amazing sunday roast - highly recommend this gem of a local restaurant. The ribs are delicious too. Excellent Sunday lunch, decent beer, free tables and not wall to wall pushchairs unlike a certain antler based pub up the road. Delicious Sunday roast. Really lovely atmosphere. The pub was not too busy which is exactly what we were looking for. Service was a little bit hit and miss. The staff were super lovely (they went to great lengths to make us feel well)but not very efficient (got one order wrong and forgot to ask us if we wanted any drinks). However, they were so kind and lovely that they're easily forgiven. Also, the ambience, the open fire, the secret garden, the food and the fact that it felt a bit like 'a local' make the Gipsy Queen the perfect spot for a Sunday lunch among friends. Will definitely be going back. The Sunday roast was great. The Yorkshires deserve a special mention too! Brilliant, fast & friendly service. We went for the roast, which was lovely and so reasonably priced. the Yorkshire puddings were huge and glorious. The meat cooked perfectly, tasty veggies and crispy roast potatoes with plenty of gravy! The brownie for dessert was devine too. We booked online via their website, after looking at their menu, but when we turned up for our Sunday roast dinner, we were told there was no booking and no food! So we had to go to another restaurant. I love this place. We're very lucky to have it as a local. The restaurant wasn't open and the pub didn't know anything about our booking. Best roast we have had for a long time. Everyone agreed this was delicious and the boys even wanted to order a second portion they liked it so much. Can't wait to go again. Staff were great, great service and we never needed to ask for anything as they took great care of us. I was recommended the Gipsy Queen by a friend. It was the best Sunday roast I've had in North London since I moved to London (6 years ago). Great atmosphere and the staff were lovely. Highly recommend it! Booked the Gipsy Queen for a Sunday lunch after attending a friends party here in the summer and seeing the food looked delicious. The staff were bloody amazing, we chatted to them and also the owner/manager who was super lovely and handsome, they gave us recommendations of wine and were super helpful when we asked for things like an extra Yorkshire pudding! Highlight was the Sunday roast and in particular the gravy!! Havent had decent gracy in London as a difficult northerner but it was DIVINE, actually another highlight was the desert - apple and rhubarb crumble, so delicious. We are all definitely going to be back and seeing you on a regular basis!